Apple CEO Tim Cook’s total compensation took a dive for 2016, as the company missed its financial targets for the year. The company’s earnings for the year to Sept. 24 dropped 14 percent compared to a year earlier. As a result, Cook’s total compensation dropped 15 percent—despite a 50 percent rise in base salary. He certainly won’t have to start eating ramen noodles—he made $8,747,719, after all—but he and fellow senior executives lost out on a few million each because of the poor performance. 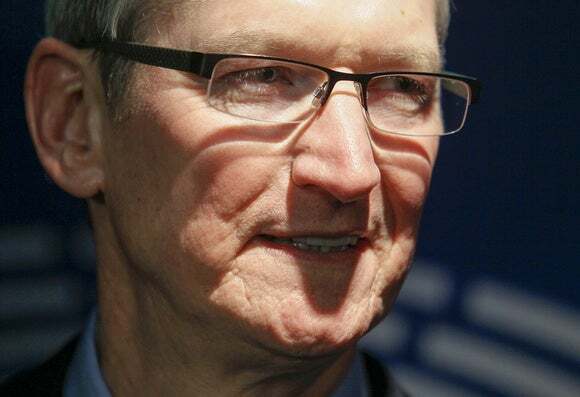 Cook’s compensation consists of a base salary and an annual cash incentive that can reach be worth four times base salary if the company’s revenue and earnings exceed the maximum goals set, as they did in 2015 when Cook received $10.28 million, including $280,000 in “other” compensation. In 2016, in contrast, the incentive was only 1.79 times base salary, according to documents Apple filed with the SEC on Friday. Luckily for Cook, that $1 million pay raise at the start of the year also receives the multiplier: Without that, he would have made less than $5 million in total. Apple also provided compensation details for five other executives in its filing. They all made more than Cook. The five were CFO Luca Maestri, senior vice president for retail Angela Ahrendts, SVP for internet software and services Eddy Cue, SVP for hardware engineering Dan Riccio, and general counsel Bruce Sewell. Each had a base salary of $1 million, the same as last year; an annual incentive of $1.79 million; and stock awards of $20 million. That puts total compensation for each of the five senior executives at around $22.8 million, down from $25 million the previous year. Cook didn’t receive any additional stock awards in 2016, but he’s still profiting from the award he received in 2011, when he became CEO. In August 2016 the first 1.26 million of those stock units vested, worth $136 million. And there’s more to come: Another 2.1 million units that have not yet vested will net Cook a further $237 million (at their current price) when they do. Of course, those compensation numbers are all provisional: They still require shareholder approval, something the board is recommending. It is also proposing that shareholders continue to approve executive pay every year, rather than every two or three years, as they might also choose to do.